Fitness Centre & Gym Fit-out Loans! 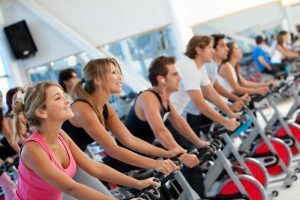 Do you currently own a gym, or are you hoping to open up a leisure centre in the near future? If so, then a loan for a gym fit-out may just be the finance option for you. In recent years, fitness centres have grown in popularity and providers no longer need to be part of a huge franchise to set up business. Whether you are looking to start up a brand-new fitness centre and want to provide the latest equipment to your customers, or if you currently own a gymnasium and are hoping to gain finance to purchase new equipment an equipment loan may be the right solution. Equipment finance can be a more secure method of lending than an unsecured business loan, therefore business owners will have a better chance of obtaining the funding that they need to open their desired fitness centre. How Do Gym Equipment Loans Work? When a loan is secured against equipment, it is imperative that the amount financed does not exceed the collateral value of the equipment itself. At the same time, the agreed duration of loan repayments cannot exceed the period of time in which the equipment is deemed as being ‘economically useful’. What this means is, that using outdated or damaged equipment as collateral for financing will not ensure the success of your application – or the eligibility of your business. As health and fitness-related venues often have larger amounts of specialised and expensive equipment than many other establishments, they can really benefit from the loan options made available by equipment finance. If you’d like to get your application underway, or for a little extra advice, why not send our team of experts a quick email? If you’d prefer to have a chat with a friendly broker, you can reach us on the phone, too!